From the South: Follow Chisholm N (Hwy 13 N) to Intersection of Tennessee St. and 4th Ave N, Continue on 4th Ave. N, Turn Left onto N Trojan Blvd. 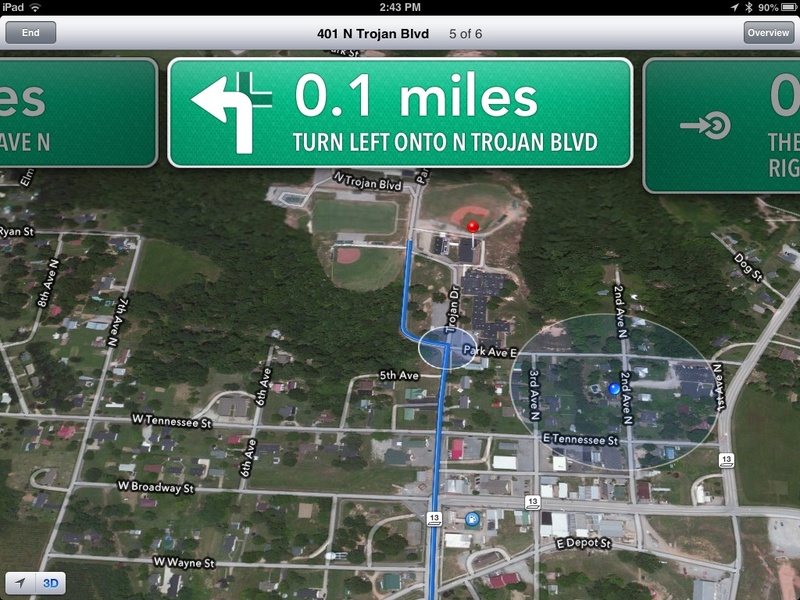 From the Natchez Trace Exit: Follow Broadway to Intersection with 4th Ave N. Turn Right onto 4th Ave. N, Turn Left onto N Trojan Blvd. From Waynesboro: Follow Hwy 13 S to Intersection with Broadway, Turn Right onto Broadway St., Follow Broadway St. to Intersection with 4th Ave N, Turn Right onto 4th Ave N, Turn Left onto N Trojan Blvd.